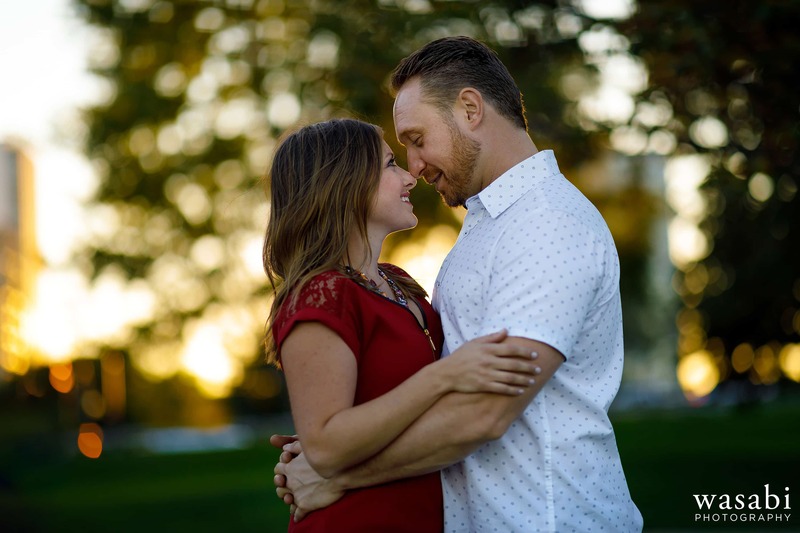 I love shooting Lincoln Park engagement photos. 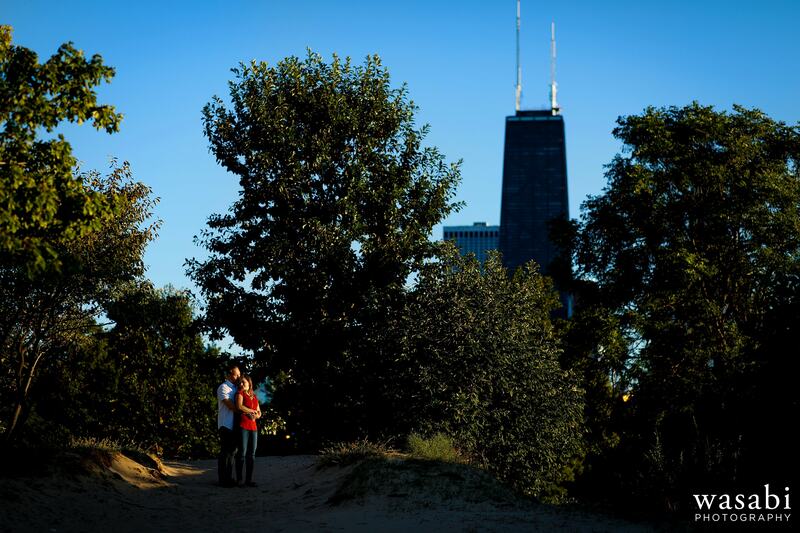 Lincoln Park is clearly one of Chicago’s most popular engagement photo locations because there’s just so many different possibilities in the area. 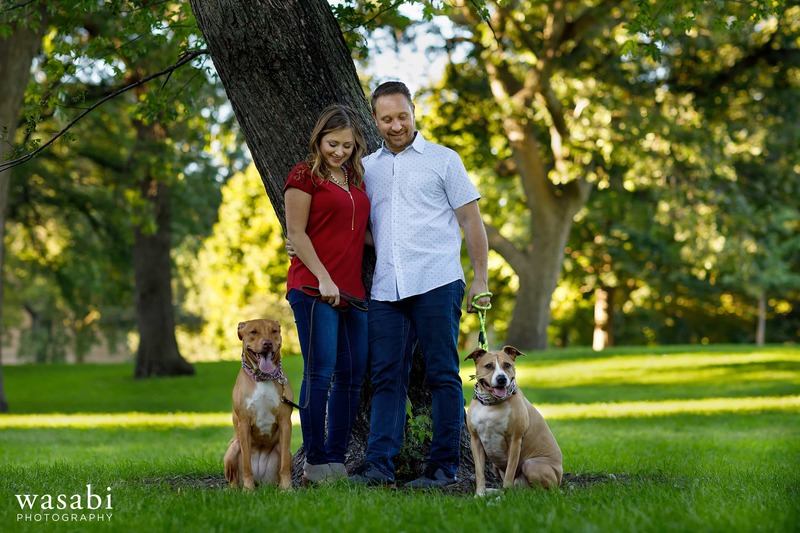 Jessica and Jared wanted to start with a mini “family” session with their pups. Thankfully Jessica’s mom was along to help manage the treats and keep their attention. After walking back across Stockton Dr. we stopped at that popular wood arch honeycomb in Lincoln Park. It’s technically called People’s Gas Education Pavilion but I think most people just call it the honeycomb arch. 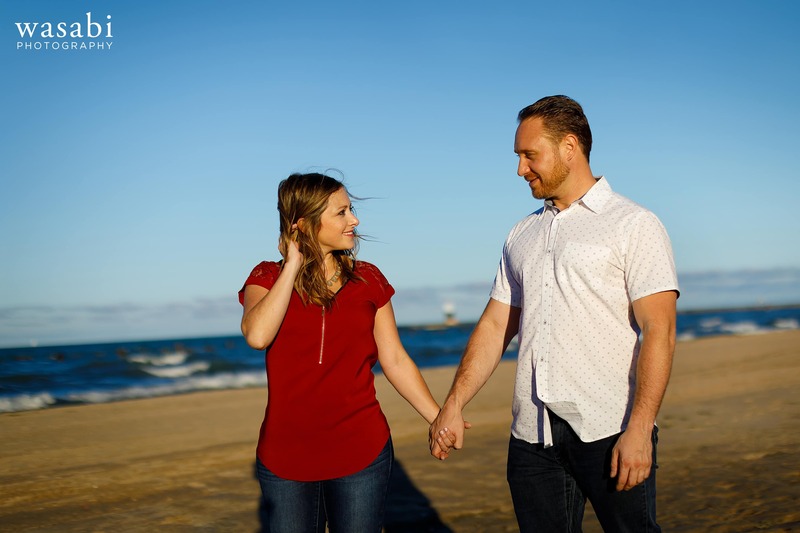 We continued walking out to the Lakeshore for a few shots along the Lake Michigan Beach. The golden hour light was screaming in at North Ave. Beach where we got the classic skyline view. From there, we did a quick outfit change and headed downtown to the iconic Chicago Theatre on State Street. The sign was lit up beautifully and it was a perfect place to end the night. I’m already looking forward to Jessica and Jared’s wedding next summer at Bridgeport Art Center!